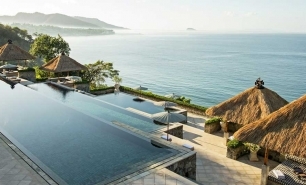 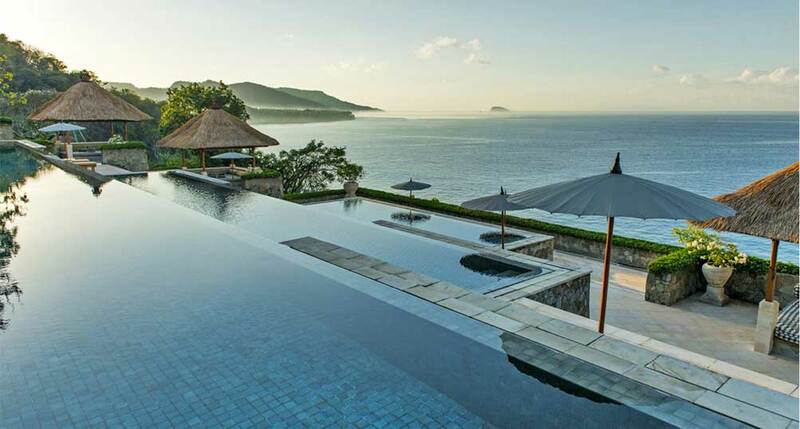 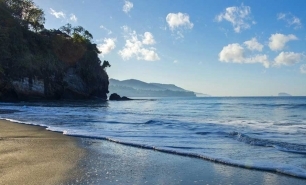 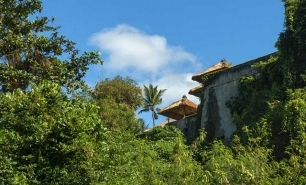 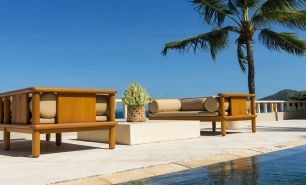 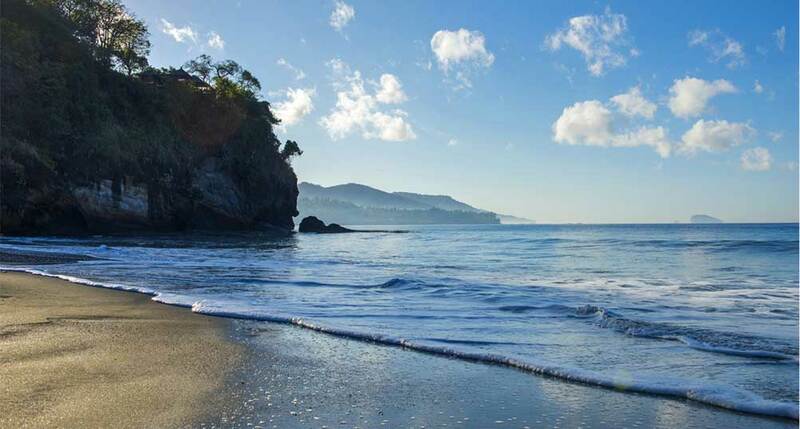 Amankila is a luxury coastal resort situated on a lush green hill near Manggis village in eastern Bali. 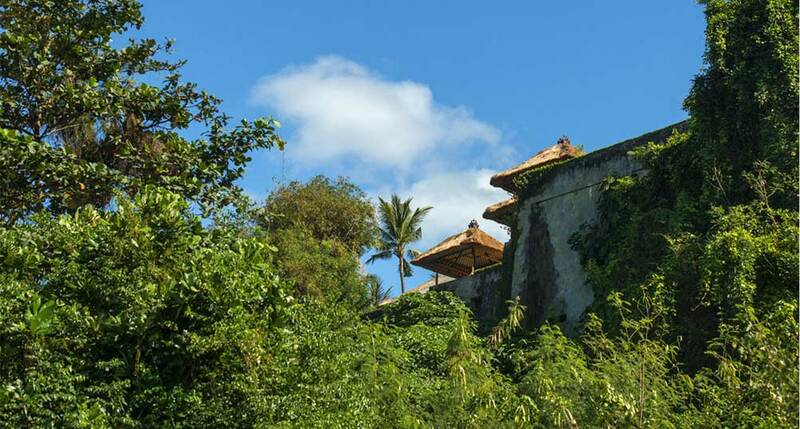 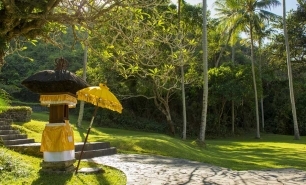 Unlike other super-luxury resorts in Bali, the resort is located on the east coast, close to Manggis, Candi Dasa, Tenganan and other culturally interesting villages. 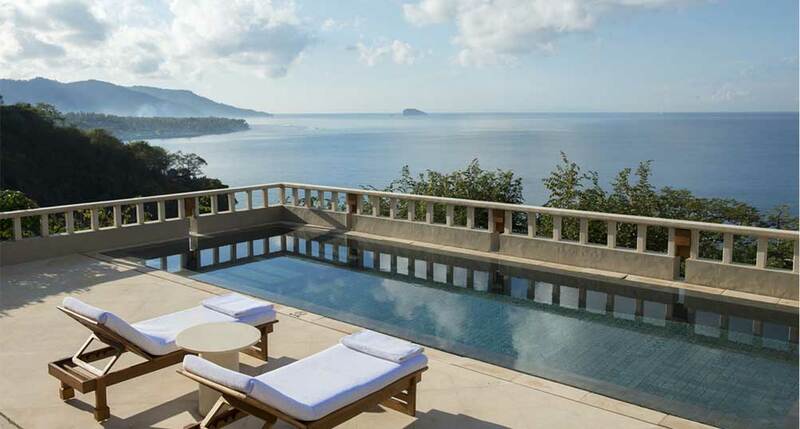 Mount Agung, one of Bali’s majestic volcanoes, towers over this section of the Bali coast and provides a dramatic backdrop for Amankila. 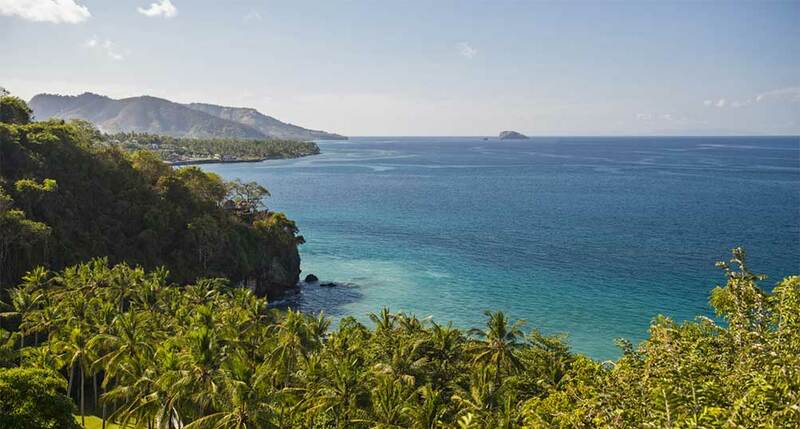 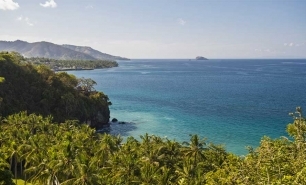 The views of the Lombok Strait are excellent from almost any location in the resort. 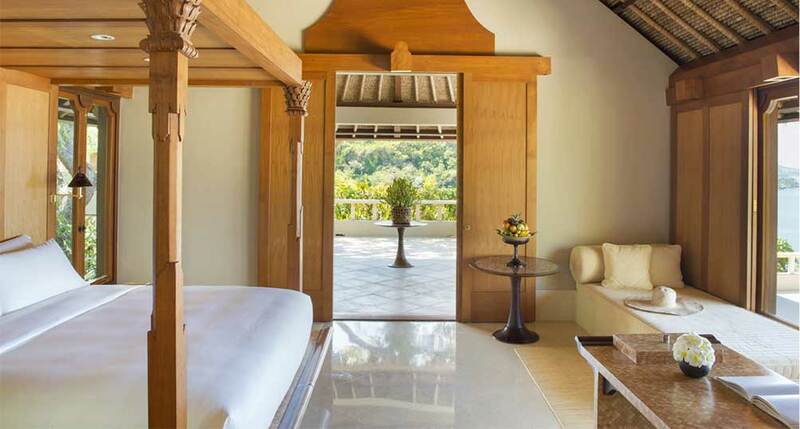 All of Amankila’s 34 elevated, thatched, free standing suites are extremely spacious, intimate and comfortable. 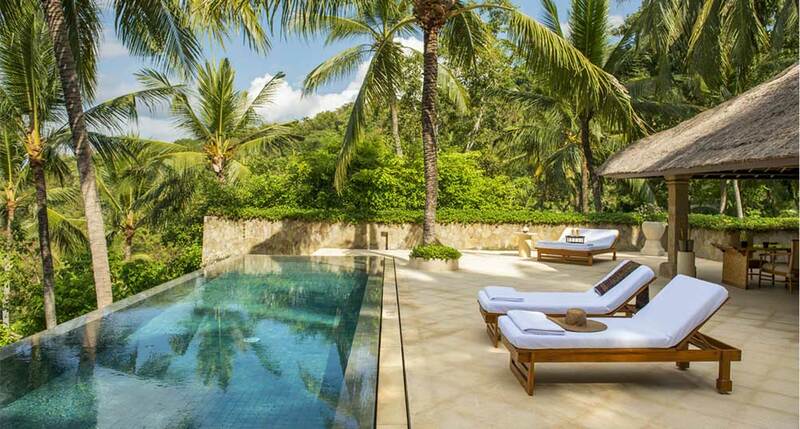 Some are higher up on the hillside, while others are closer to the beach. 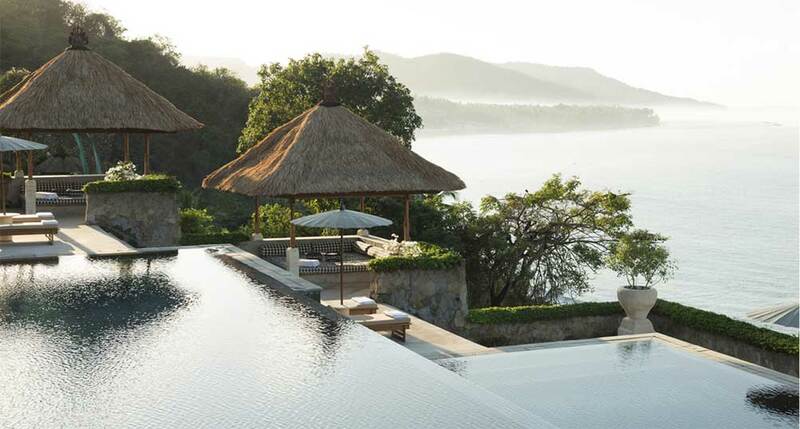 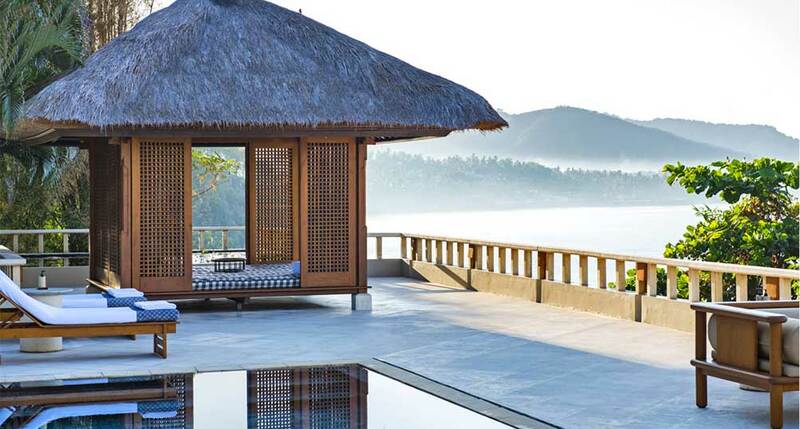 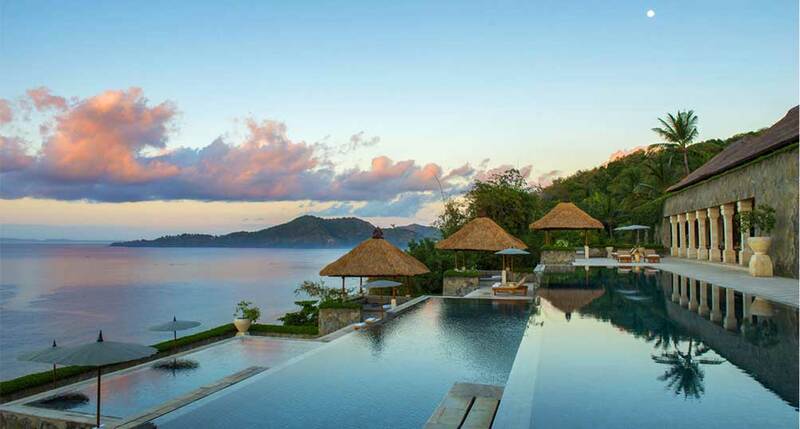 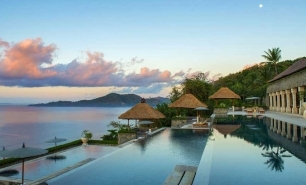 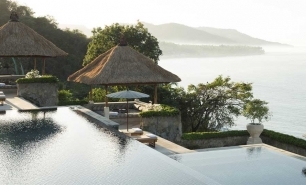 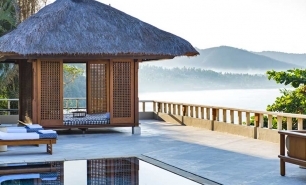 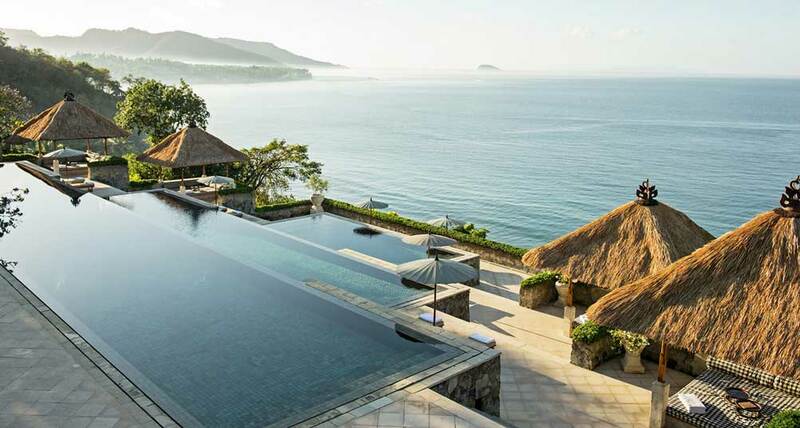 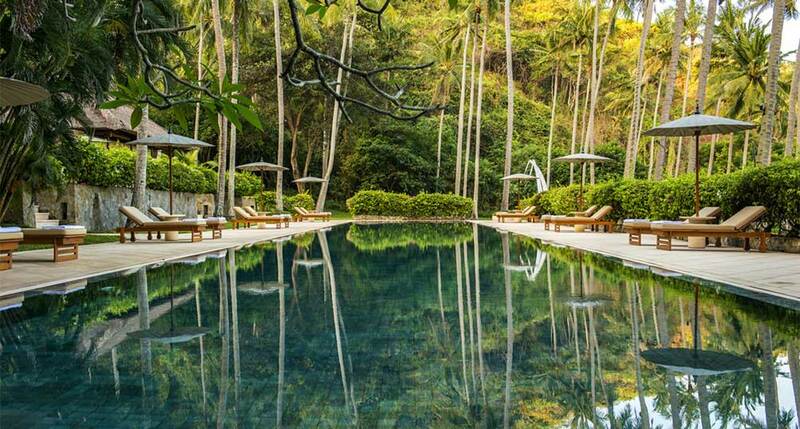 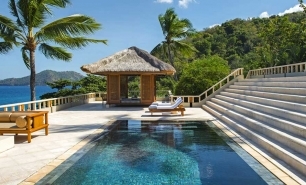 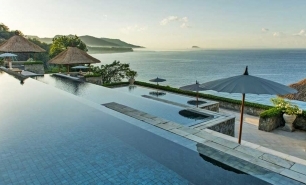 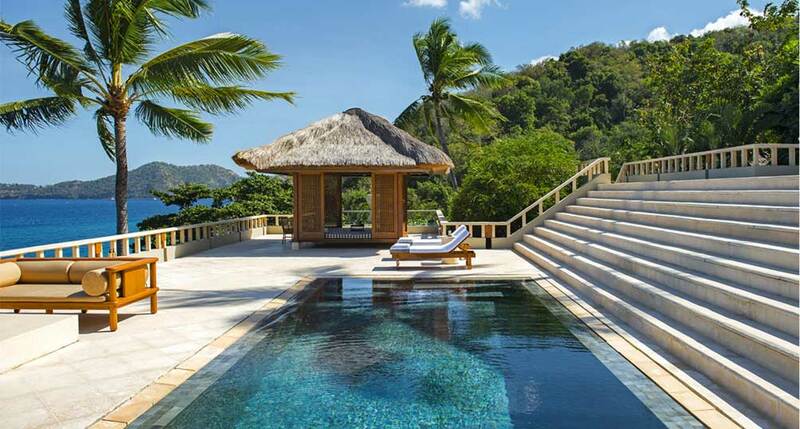 However, the walk to the beach from the higher up villas, passing via the beautiful main pavilion and Amankila’s famous three tiered infinity pools, is a pleasure and a highlight of the stay. 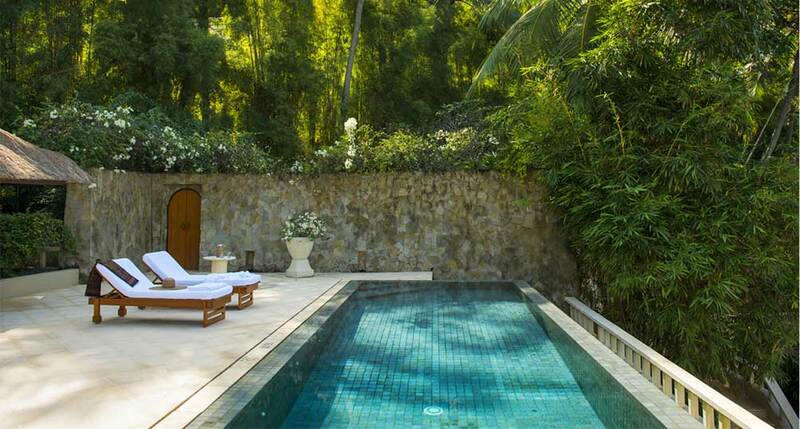 With the exception of Garden and Ocean Suites, all the suites have private pools (i.e. 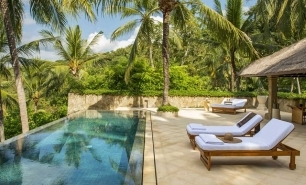 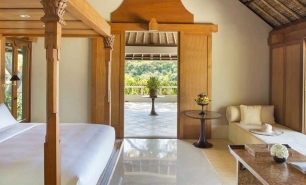 Pool Suites, the Kilasari Suite, the Indrakila Suite and the Amankila Suite). 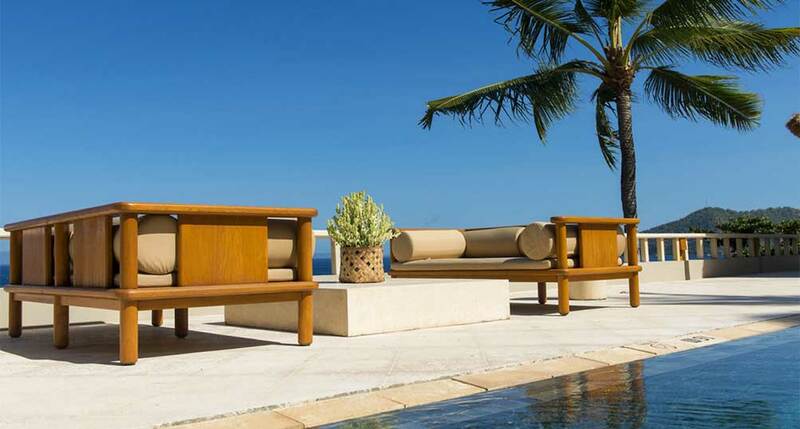 All suites have huge outdoor terraces with daybeds, tables and rattan chairs. 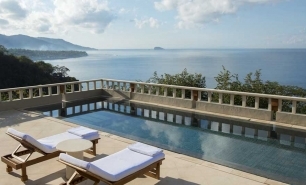 The Restaurant is located above the main pool overlooking the ocean and offers a mix of Western and Indonesian cuisine. 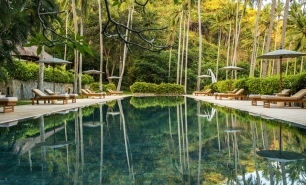 Adjacent to the Restaurant is Amankila’s Bar. 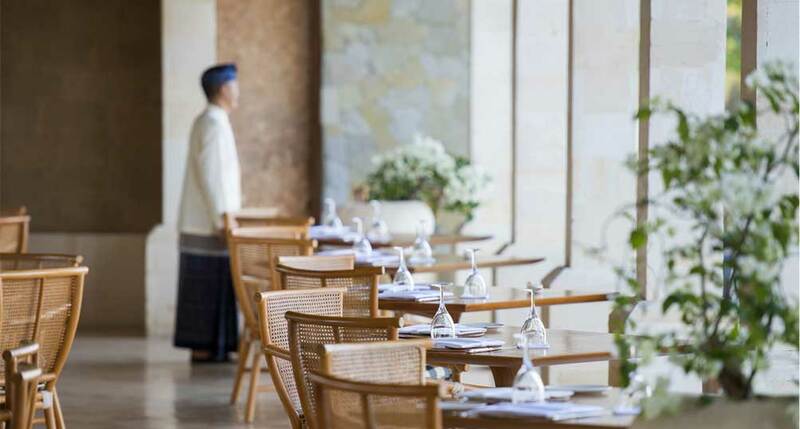 The Terrace serves Asian and Western cuisine during breakfast and lunch. 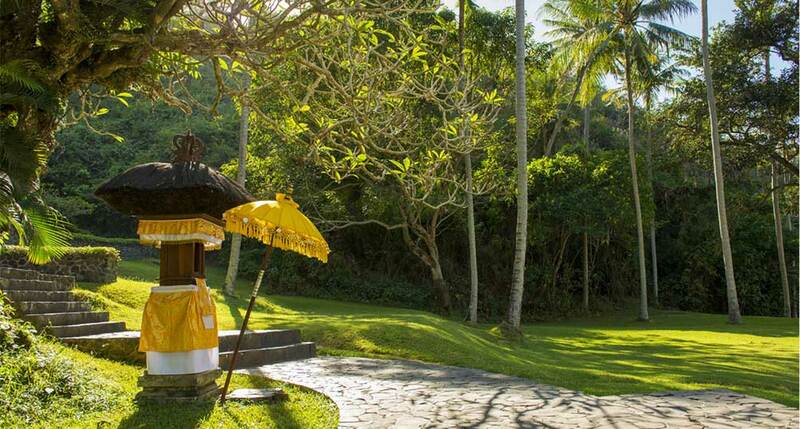 There is a daily tea serving ceremony at the resort’s Library, where local women dressed in sarongs offer complimentary Indonesian ginger tea and local Balinese cakes. 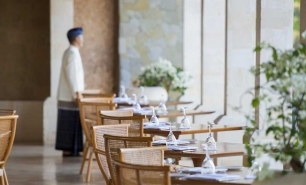 The Beach Club has a simple Western and Indonesian menu including salads and pizzas. 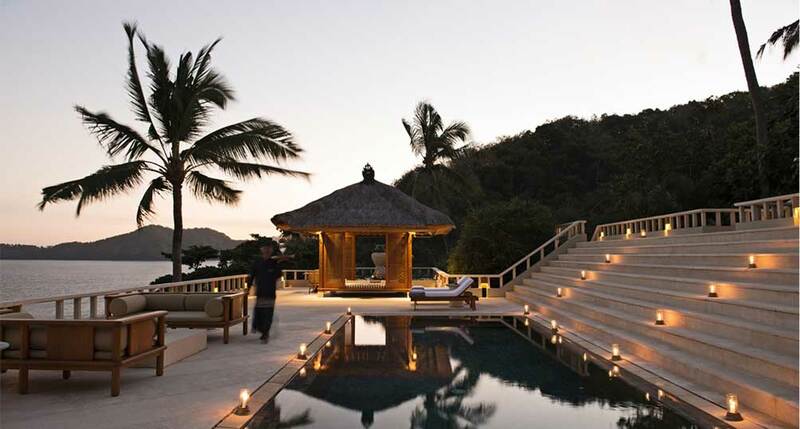 The spa is located in a separate pavilion on the hillside. 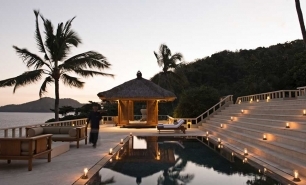 However, massages are also available in the coconut grove at the Beach Club.